On the 23rd (Wed), enjoy a perfect day by the water at Jurmala Beach. The adventure continues: appreciate the history behind Freedom Monument (Brivibas Piemineklis), take in the spiritual surroundings of St. Peter's Church, hunt for treasures at Central Market (Centraltirgus), and contemplate the long history of Latvian Ethnographic Open Air Museum. 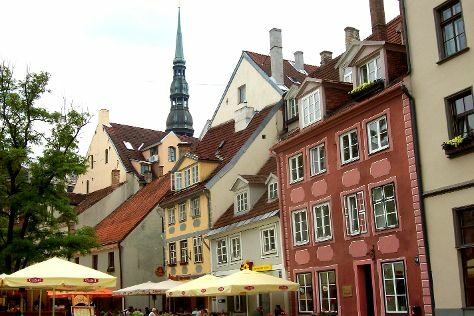 For photos, more things to do, maps, and more tourist information, go to the Riga trip itinerary website . In May in Riga, expect temperatures between 20°C during the day and 9°C at night. Finish your sightseeing early on the 25th (Fri) so you can travel back home.